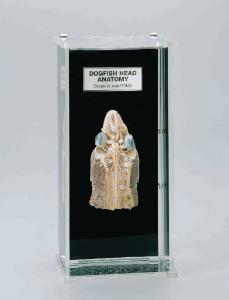 This display is ideal for presenting a complete overview of the dogfish anatomy. Key Includes 1. Rostrum; 2. Nasal Sac; 3. Olfactory Bulb; 4. Olfactory Tract; 5. Eye; 6. Optic Nerve; 7. Ophthalmic Nerve; 8. Cerebrum; 9. Diencephalon; 10. Optic Lobe; 11. Cerebellum; 12. Restiform Body; 13. 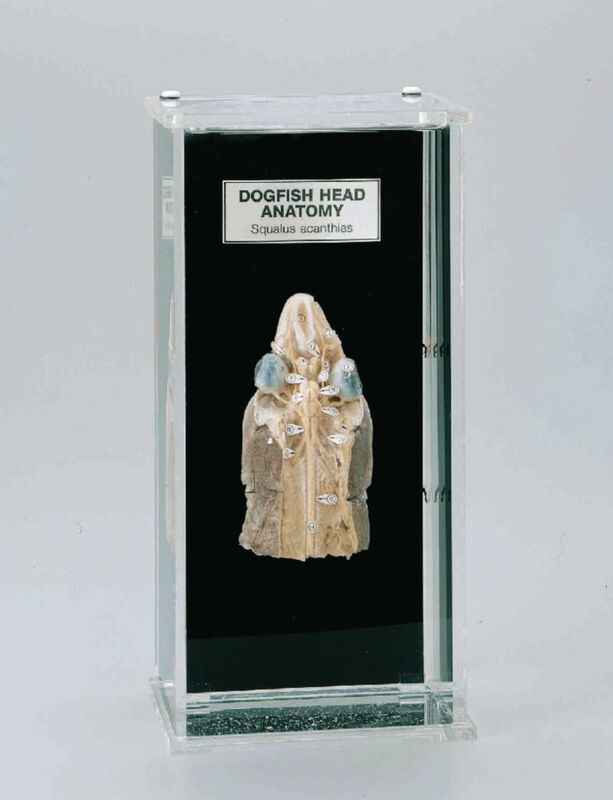 Medulla Oblongata; 14. Spinal Cord; 15. Hyomandibular Nerve; 16. Glossopharyngeal Nerve; 17. Vagus Nerve.